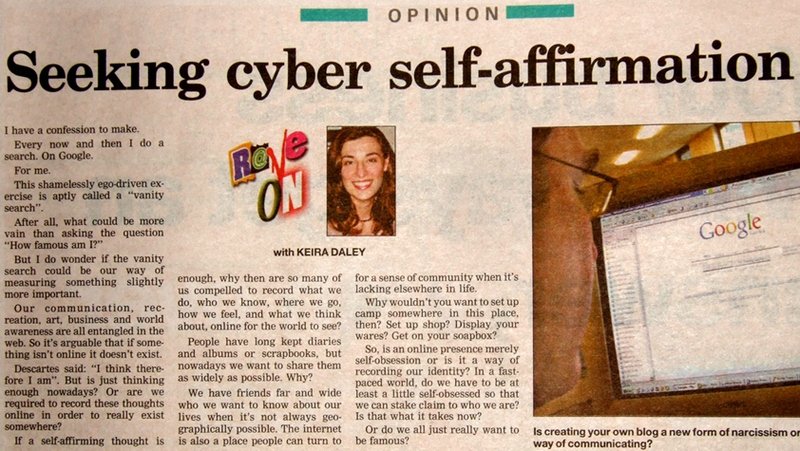 I won a ‘voice of youth’ competition and scored my own column in The North Shore Times circa 2006. It was aptly called ‘Rave On’ and I got to write whatever I wanted – which worked well for someone who had no interest in being controversial. Questionable copyfitting aside (Widows! Orphans! Horrible hyphenation! And so many par breaks! ), it was fun. Here are a couple of samples.